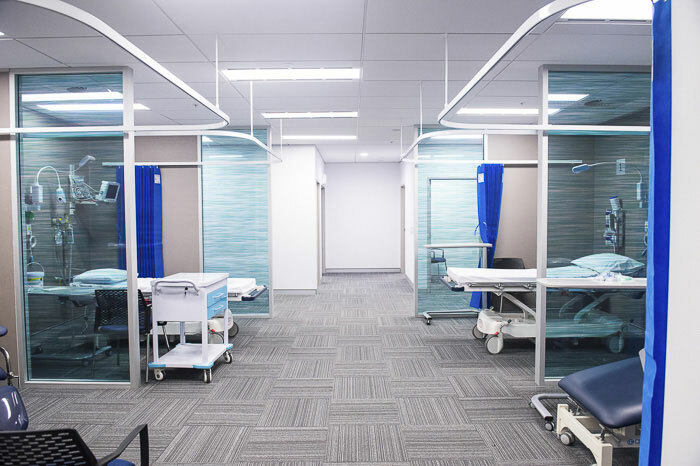 Before you start reading my review of the brand new WiSE Specialist Emergency Clinic at Macquarie Park you should know a little bit about me. Firstly, I am firmly in the camp that public hospital Emergency Departments are for emergencies only – those conditions that are serious, severe and potentially life threatening. My first port of call is always my local GP, plus I do like to give Health Direct a call to discuss the medical situation I have at hand. However, there are those situations that fall in between – not life threatening or severe but they require more emergency care than a GP is able to provide. For example, early last year my 4 year old took a tumble that resulted in a nasty head gash that required 22 stitches. In this case I did go to the emergency department at a hospital but, given it wasn’t life threatening and was essentially non-urgent, we quite rightly were low on the triage scale. The second thing you need to know about me is that I’m terribly impatient and I hate to wait. I understand why I need to wait at times, I just don’t enjoy it! I’m also not good at visiting multiple places for the relevant service I need, particularly with kids in tow. I like to arrive and, where possible, receive end to end service and care. When I heard of the WiSE Specialist Emergency Clinic at Macquarie Park I knew it was something I’d be interested in – immediate access to specialist care only staffed by experienced emergency doctors, with no appointments necessary. It’s a one stop shop with no prolonged waiting times and these factors appeal to anyone, especially a mum. This comes at a cost of $200 (not covered by Medicare or private health funds), which includes access to a specialist emergency medical assessment, X-rays, CT scans, ultrasounds and blood tests if required and any interventions or treatment necessary. Given most private hospital emergency departments charge a fee of over $330 (also not covered by Medicare or private health funds) the WiSE Specialist Emergency Clinic fee is pretty reasonable. So when we received an invitation from the WiSE Specialist Emergency Clinic to come and check it out, I was really keen. While I knew I could provide feedback to Hills District Mums on what the facility was like from a mum’s perspective, I did invite MY mum along to get her take on the facility from a medical perspective, as she has 20 years experience in public hospital Emergency Departments. First impressions of the clinic were great. You’re off to a good start with free parking – and lots of it – at the front door. Upon entering, it is clean, modern and friendly. When we arrived no one was waiting to be seen. Due to the sheer numbers that pass through a public hospital emergency department there are formal systems in place from the second you walk in the door. Unless it’s a serious emergency you will meet a triage nurse first, wait according to the severity of your medical condition, move from the waiting area to the treatment area, be seen by a nurse, then by a doctor (who could actually be an Intern, a Resident Medical Officer or Registrar training in Emergency Medicine). You may never actually see a Senior Emergency Specialist. This is where the WiSE Specialist Emergency Clinic differs. At WiSE, there’s the possibility that the Senior Emergency Specialist is the first person you meet, even before the receptionist. You’ll have your consult with a Senior Emergency Specialist or other acute care specialist. 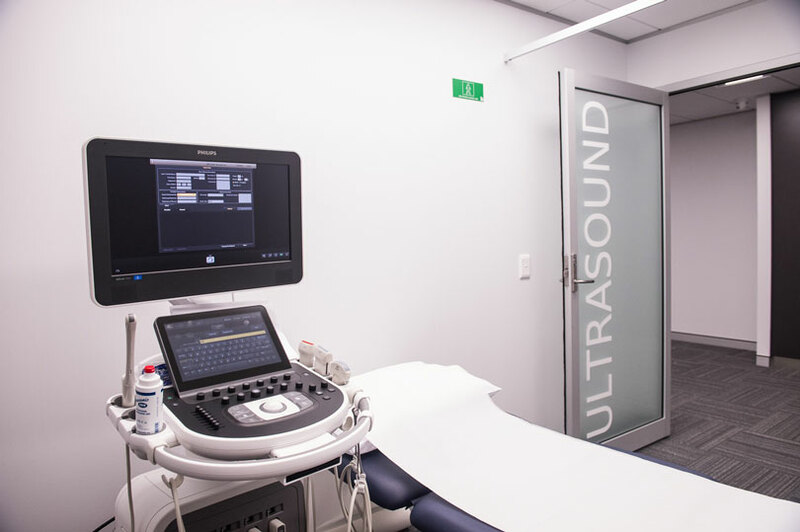 Then, rather than visiting multiple sites for various tests or scans (painful for everyone involved if you’re with a child) there’s on-site access to the latest ultrasound, CT scanning and X- ray technology. There’s also on-site pathology services. Obviously for the above you could also visit your GP. As a mum I was thinking this would be the place I would head if I thought one of my children had fractured their arm or leg. I could park at the front door, walk in, face a limited wait time, be seen by an emergency specialist, be x-rayed on the spot, receive appropriate treatment and be walking out in no time at all. I also thought that WiSE Specialist Emergency Clinic would be a great option if someone in my family needed immediate, non-life threatening care and my GP wasn’t available due to the time of day or lack of appointments. (WiSE Specialist Emergency Clinic is open 10am to 10pm 7 days per week). Other things worth noting are that the clinic has emergency dental on site which is quite hard to find – from 10am to 10pm, 7 days a week, as well as ultrasound facilities for those that want an immediate ultrasound should they be worried, particularly in early pregnancy. There are other pre and post natal health offerings too such as immediate blood results, Obstetricians, Gynaecologists, Lactation consultants and Paediatricians. From a medical perspective what did my mum think? I was very impressed with how well resourced and set up the clinic is. All the equipment is up to date and complies with all health, safety and infection control guidelines. It’s like walking into a modern, well-organised Emergency Department in any health care facility. 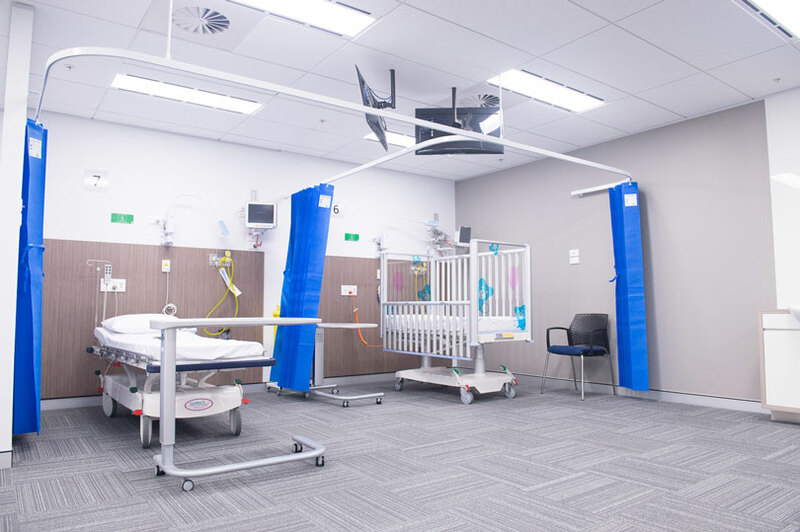 There are separate infant, paediatric and adult bays, an isolation area and consult rooms. Cardiac monitoring is available and nitrous oxide is used if needed for minor procedures. Having access to ultrasound means women in early pregnancy with any concerns can be seen here (unless bleeding heavily). Care is streamlined by the ability to do on-site imaging and pathology if required. Follow up care can also be arranged. For example, a fracture that will need a full plaster applied after swelling goes down and the opportunity to be seen by an orthopaedic specialist in a fracture clinic if necessary. It’s great that GPs can refer their patients for extended care. This might include a patient with simple gastro requiring intravenous fluids over a couple of hours, or mild asthma needing treatment and observation or a simple head injury for observation that can’t be managed in a GP,s rooms, or lacerations that need suturing. The concept is definitely filling a gap in the health system in Sydney for those wanting the choice of expert emergency care, less wait time and a referral system if needed to other specialities or hospital admission. This must surely impact positively on the burden placed on public hospital emergency departments with conditions that will not require a hospital admission. A definite thumbs up from me! Overall, this clinic is a fabulous option for families in the Hills as it’s not far at all on the M2. It fills the gap between your GP and a hospital visit – a space lots of mums and families can often find themselves in, especially with sick or injured kids. If you’re in a state of unconsciousness or have chest pain, difficulty breathing, uncontrollable bleeding or there has been a major accident then call 000. But if you or someone in your family needs medical attention for an acute illness or injury, but your condition isn’t severe enough for a trip to the emergency department and your GP isn’t available, then WiSE Specialist Emergency Clinic is definitely an option. Location: 33-39 Talavera Road, Macquarie Park (entrance via Khartoum Road). Free parking available. Opening hours: 10am to 10pm, 7 days a week. Open all public holidays. Phone: 02 9216 7676 or alternatively just walk in. Cost: $200 fee applies to access their facility. This includes your specialist emergency medical assessment, X-ray, CT, Ultrasound and blood tests if required and any interventions or treatment necessary. This fee is not covered by medicare or health funds (Bupa overseas insurance members are covered). Bulk-billed X-ray, CT and blood tests are available only with a GP or specialist referral. No facility fee applies in these cases.